Tekashi 6ix9ine was arrested in Brooklyn on Sunday for assaulting a police officer and driving without a license. The controversial 22-year-old rapper, also known as Tekashi69, was approached by a police officer for illegally parking his red SUV in front of a fire hydrant in Bed-Stuy. The incident took place approximately 4:15 p.m. on Sunday, PageSix reported. The cops asked him for his driver’s license which he was unable to produce. That’s when the officer ran a check and discovered that the rainbow hair rapper, whose real name is Daniel Hernandez, driver’s license was suspended. Tekashi 6ix9ine was arrested for aggravated unlicensed operation of a vehicle, but then more charge was filed against him for allegedly assaulting the arresting officer. The alleged assault took place at the 77th Precinct station house. The police report states that 6ix9ine grabbed a police officer’s hand while the cop was removing the handcuff. 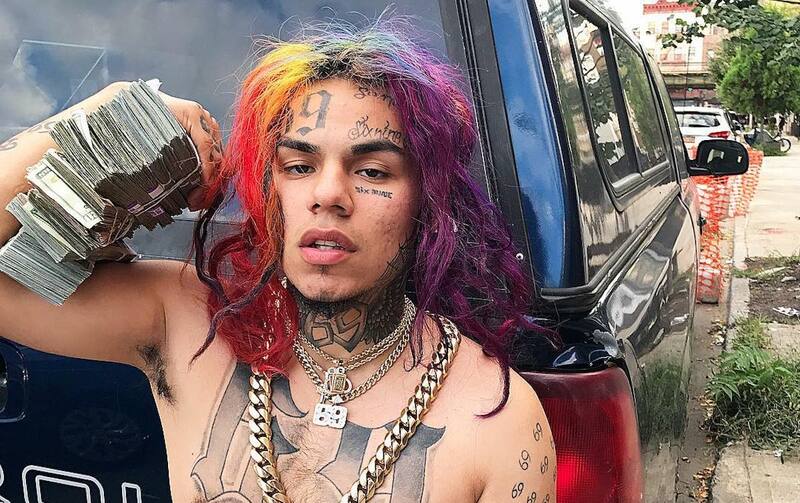 This arrest is the latest of a series of runnings that Tekashi 6ix9ine had with law enforcement. Last month, he was under investigation for a shooting incident at a show in New York and he is currently facing a serious charge involving sexual misconduct of a minor. In 2015, Tekashi69 copped a plea deal for the sexual assault charge and is currently awaiting sentencing in New York. Earlier this year, a judge ordered the “Kooda” rapper to get his GED before his sentencing but he has since missed the date and the judge postponed the sentencing to give him more time to work on his GED.